James Woodforde was born in Somerset in 1740, the son of the Rector of Ansford and Vicar of Castle Cary. He was an undergraduate at New College, Oxford, and after taking his degree returned to Somerset where he held various curacies. On his father's death he failed to succeed to the Somerset livings and returned to Oxford as a Fellow and Sub-Warden of New College. In 1774 he obtained a college living at Weston Longville in Norfolk. Here he lived with his niece, Nancy (acting as housekeeper), until his death in January 1803. He never married, and made fairly regular long visits to his family and friends in Somerset. His life would be considered totally unremarkable and uneventful but for one thing: for nearly 45 years he kept a diary, with almost daily entries. The diary gives a unique insight into life in rural 18th century England, and first became widely known when John Beresford edited a five-volume abridgement in the 1920s. The Parson Woodforde Society exists to promote the study of James Woodforde, and to provide opportunities for those interested to communicate and meet. 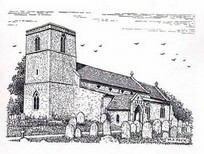 The Society's annual meeting - or Frolic - usually takes place over a weekend in May or September, most frequently in Somerset or Norfolk but occasionally at other places with which Woodforde was associated. The Society publishes a Journal and Newsletter three times a year and has published the complete, unabridged and fully annotated Diary in 17 volumes. The final volume was published in 2007; click here to see the full list. Welcome to the world of Parson Woodforde. Please explore using the links across the top of each page, and we hope you enjoy your visit.